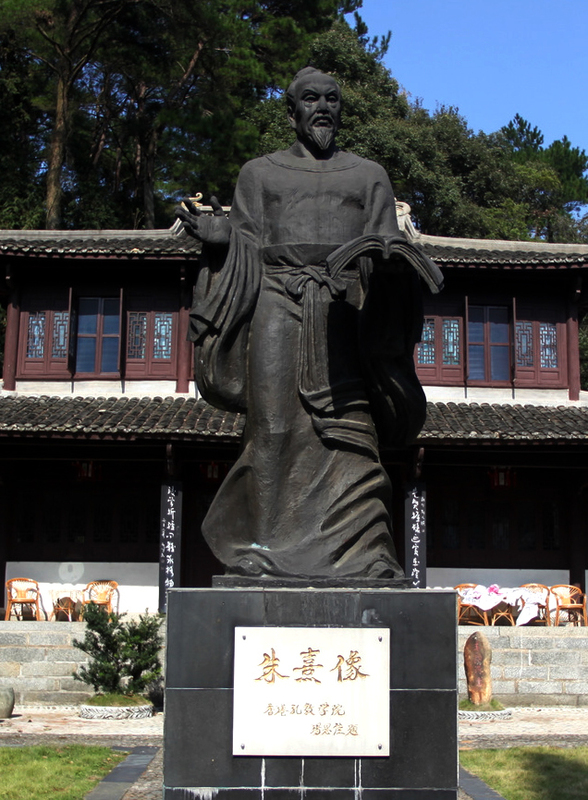 Zhu Xi was a prominent Song (Sung) dynasty Neo-Confucian scholar who taught at the White Deer Grotto Academy and, by completing the second wave of canonizing Confucian learning, created a program of education and self-cultivation that became the official standard for the Chinese civil service examinations from 1313 until 1905. The son of a Confucian scholar-administrator, Zhu proved a highly precocious youth who in his teens was attracted to Zen (Ch’an) Buddhism, while concurrently preparing himself for the civil service examinations. Passing the highest regular examination (jinshi) at the age of 18, he embarked on a career combining periods of official service with longer periods of teaching and writing. Zhu’s greatness consisted in his ability to formulate a unified system of thought integrating both the contributions of his Song predecessors and the popular Buddhist and Taoist principles that had made significant inroads into China with the long line of traditional Confucian teachings. Moreover Zhu codified as basic texts of the Confucian school the Four Books—the Meng-Zi, Daxue (Great Learning), Zhong Yong (Doctrine of the Mean), and the Analects—and wrote exhaustive interpretations of every sentence in the Four Books, called the Annotations. 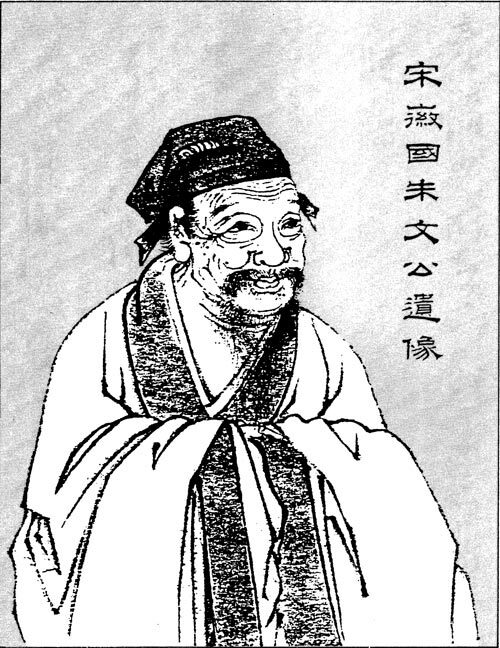 His philosophy, often identified as the Cheng-Zhu school (since his most influential predecessor was Cheng Yi), emphasizes the doctrines of li (principle), qi (vital force), Xing or hsing (the nature of all things), xin or hsin (the human heart-mind), and Tai-Qi (tai-chi or the Great Ultimate) in an attempt to reorient education toward moral practice. Zhu argued that li is the unchanging and eternal principle of being, order, and pattern (encompassing both universal and particular elements) that brings all essences into being and comprises the moral structure of the universe. These essences are actualized by qi, the psychophysical vital force or simultaneously material and immaterial substance of the universe, which animates or fills out the individual patterns created by li. The source and sum of these two universal elements (li and qi) is the tai-qi, which also causes qi to move and change in the physical world, resulting in the division of the world into the two energy modes (yin and yang) and the five elements (fire, water, wood, metal, and earth). Hence qi is not found equally in all things (including humans), and the fact that people have various endowments of qi accounts for their ethical differences (for example, some understand and follow morality easily, while others must strive to realize moral principles). Zhu’s system is a modified dualism because li and ch’i are interdependent, where a symbiotic relationship between the two furnishes the constitution of human beings. By defining humanity as the conjunction of Mencius’s concepts hsin and hsing, or the original heart-mind, and then identifying hsin-hsing with li, Zhu rendered human nature as intrinsically good, yielding the four moral sprouts of loyalty, respect, obedience, and honesty, and a microcosm of the supreme ordering principle resident throughout the universe. Resembling the idea of a Buddha-mind, Zhu claimed, all humans have the potential for perfection, but evil arises through the clouding effect of li being shrouded by ch’i. For Zhu the mind of every person contains two dimensions: the mind of the Way, or the original intrinsic principled goodness that links the person directly with the tai-qi, and the human mind, or the ch’i-filled arena, where conflict arises between hsin-hsing (the original mind) and carnal desires. Zhu’s method for overcoming this psychophysical imbalance consisted in the investigation of things and internal cultivation. Following the Daxue, Zhu held that the investigation of things was a fourfold process. First one must apprehend the principles of things, or affairs such as matters of conduct, human relations, and political problems, that makes them one. Second one must read and reflect on the literature in which such principles are revealed, including the 13 Confucian Classics, and live according to an active ethical regimen that could develop to the fullest the virtue of humaneness, or jen. It is through jen that one overcomes selfishness and partiality, enters into all things in such a way as to identify oneself fully with them, and thus unites oneself with the Mind of the universe, which is love and creativity itself. Through his discussion of the traditionally impersonal T’ien, or heaven, as an intelligent Mind or ordering will behind the universe, Zhu introduced a quasi-theistic tendency within Confucianism. 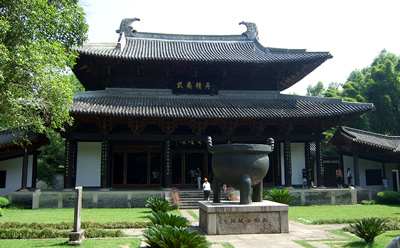 Third, one must become a lover of learning and study history; here we see in Zhu a kind of positivism that afﬁ rms, contra Buddhism, the reality of things and reinforces the traditional Confucian emphasis upon the objective validity of scholarship. Fourth, one must study one’s own experience, or perform an “exegesis of one’s life,” by making oneself aware of the principles that cause things to happen. By internal cultivation, Zhu meant that one must spend part of each day in contemplation and self-reflection upon one’s daily behavior in light of what one learned from the Classics, and that one must develop a reverence or sense of awe toward the universe and an inner-mental attentiveness through the technique of quiet sitting (reaching stillness of thought through meditation). Although Zhu’s service at the royal court was brief, with much of it limited to lectures and memorials conveying the most general sort of advice to the emperor, he spent considerable time in local administration as a social reformer. His work included the improvement of agricultural methods and schools, the establishment of charitable granaries, famine relief, and community organizations, and the rehabilitation of local academies. As a result, Zhu suffered severe political persecution from the more conservative authorities, such that the canonical status of his teachings, albeit widely accepted by contemporary scholars, would not be officially certified for some years later. In the 14th century Zhu’s teachings became the official orthodoxy of China (an assessment lasting until the early 20th century) and likewise became accepted in Japan and Korea as the most complete and authoritative exposition of Confucianism. Therefore, they exerted a profound influence on the whole cultural development of East Asia well into the modern period.